Secret of the Enchanted Forest told the story of Philomena Abernathy, an elderly woman on a lifelong quest to prove the existance of fairy folk after meeting an elf boy when she was little. Young Francis Wright leads Philomena into the forest near her home where she swears she sees magical creatures al the time. 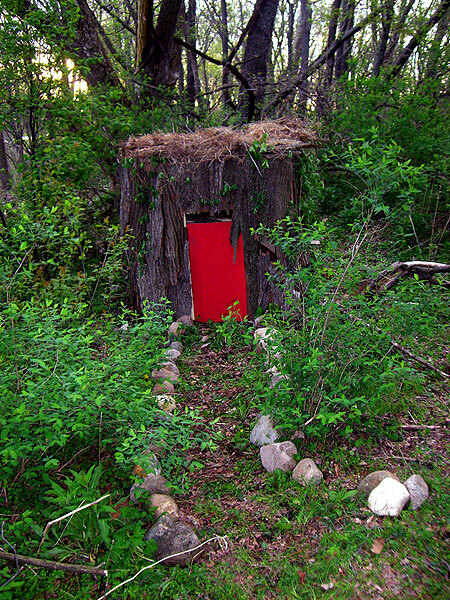 Here, just passed the entrance to the forest, we see a fairy home just off the side of the path.